When I think about it, I’ve really been into minimalism for a while, giving it my own meanings without really knowing exactly how other people approach their pursuit of owning less to make the rest more meaningful. For me, the journey of less started when my wife and I sold or donated most of our belongings to live the dream in Hawaii, keeping only a fraction of our previous “things” in a single stall storage garage. After moving back from Hawaii, not only had our tastes changed, but our view on minimalism changed along with which things brought us value. 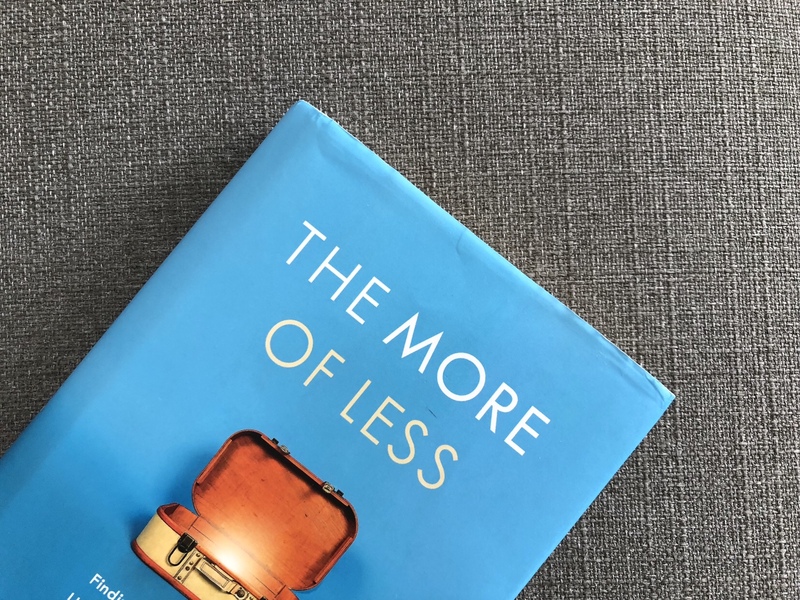 The More of Less by Joshua Becker gives you strategies and specific tactics to apply to almost every area of your life. The beauty of minimalism isn’t in what it takes away. The beauty and the full potential of minimalism lies in what it gives. More contentment They all resonate really well with me, but number 10 really struck a chord too. My mother unexpectedly passed away in 2014, with no life insurance, no savings, no will or burial plans, and a lease with rent due in 2 weeks. Add a mountain of stuff in her 4 bedroom house and a back shed, and it was a stressful week in between her passing and the funeral. Luckily for us, this overwhelming endeavor wasn’t taken alone and was spread amongst my father, my 3 brothers and our amazing wives, as well as some close friends and cousins. We spent a full 5 days going through all of her stuff. Stuff she hadn’t looked at nor needed for years. It was a big burden to carry for all of us, but at the same time it helped us cope in a way. We spent the morning and afternoons hustling and sorting while we paused for lunches and dinners and told stories of her life, stories of us all together, and the quirks only our mother possessed. While there were some true blessings in that week, I don’t wish that upon my kids, as I’m sure my mother didn’t either. It was unexpected. No one knows when their time is. This book is more than just about minimizing for others’ sake when you pass, it’s about spreading and promoting the things you truly value and hold close. It’s about creating margin in your time, your finances, your heart, so you can fill them with giving back, spending more time with loved ones and less time on maintaining things you use 3 times a year. I recommend this book to anyone feeling overwhelmed about life, the stuff they’ve accumulated, or about their closet anytime they get ready. There are tactics in this book that will give you a framework to take action the first day. Stop saying yes to more things for only the sake of more, and start to truly experience the more of less.